Luxe sophistication meets modern romance. 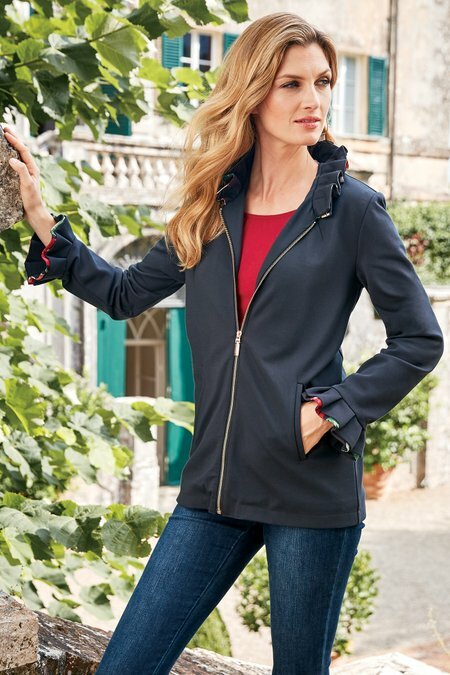 The polished, ponte knit silhouette features a double-layered ruffle at the stand collar and cuffs, with rose gold zip closure, welt pockets and floral poly/spandex satin lining. Misses 26" long.